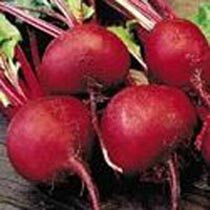 Ruby Queen Beetroot Seeds Uniform and smooth, medium dark red globe shaped roots have dark-red flesh with no off color zones. Medium dull-green tops tinged with maroon grow 10-12 inches tall. Good for both fresh market and processing. Matures in an average of 55-60 days. Prolific, matures in an average of 58 days. 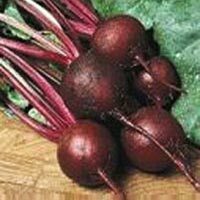 Roots are nearly globe shaped, 2.5 to 3 inches in diameter with smooth skin. Blood red color with virtually no zoning. Solid good keeping root. Medium green tops with tinges of red. Resistant to Downy Mildew.